Self-employed - Drug Discovery Scientist - Still pursuing drug discover efforts in HCV, liver cancer and pancreatic cancer, all areas related to the “baby boomers”. Looking for funding as I move forward! Danee - born 1980 More…- Major Cook - now an animal control supervisor and in the Army Reserve. I have had a long career in drug discovery, being a co-inventor or inventor of over 350 United States patents and over 250 publications. I continue to aggressively pursue HIV, HCV and liver and pancreatic cancer drug discovery projects within my company - Carlsbad Pharmaceuticals, Inc. Still pursuing drug discover efforts in HCV, liver cancer and pancreatic cancer, all areas related to the “baby boomers”. Looking for additional funding as I move forward! If anybody has some interest please call me!! I am a lifelong fitness guy, having become a Certified Physical Fitness Trainer - National Academy of Sports Medicine (NASM) - 2010 and American Council of Exercise (ACE) - 2010 - focusing on the older population. As a way to keep busy, I spend some time as a personal trainer at 24HF, focusing on the older population. Lots of fist fights - but we didn't shoot each other as the current trend! 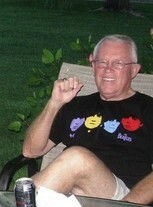 Don Ervin posted a message on Dan Cook's Profile. Happy Birthday Dan! Keep up your outstanding work. We believe in you and you will find some cures. Dan Cook changed "Now" picture. New comment added. Dan Cook added a photo to profile gallery. New comment added. Tommy Weathers posted a message on Dan Cook's Profile. New comment added. Happy birthday Dan. Come see us this summer for the class get together. We will send you the dates as soon as we have them. Hi Johnny - great job with all of this!! Wow! I continue to be impressed with Johnnies internet abilities! Dan Cook joined via Class Connection Facebook app.